Ain’t that the truth! The Husband truly ascribes to that notion – he can be the most annoying human being on the planet when he wants to be. And he’s damn proud of it! 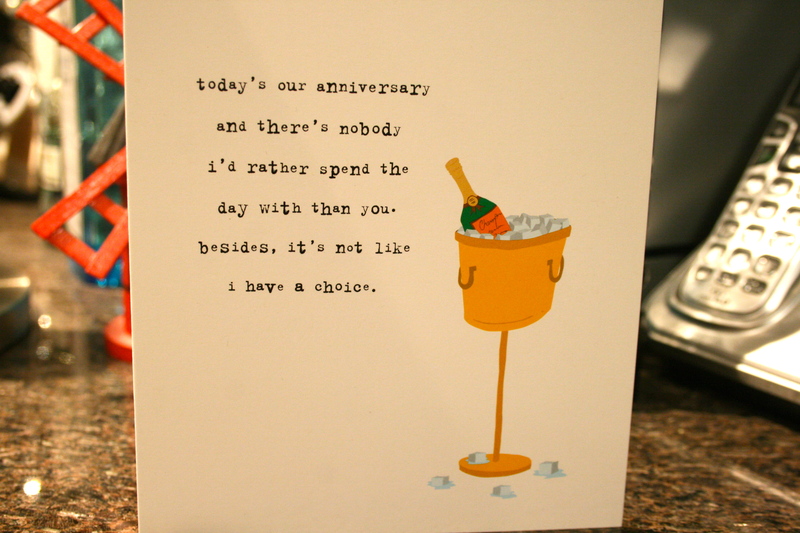 The card I bought for the Husband – I thought it was hilarious! We only just got married in October of 2011, but we’ve been together for 11 years. Yesterday, we celebrated our anniversary with – what else? – good food! 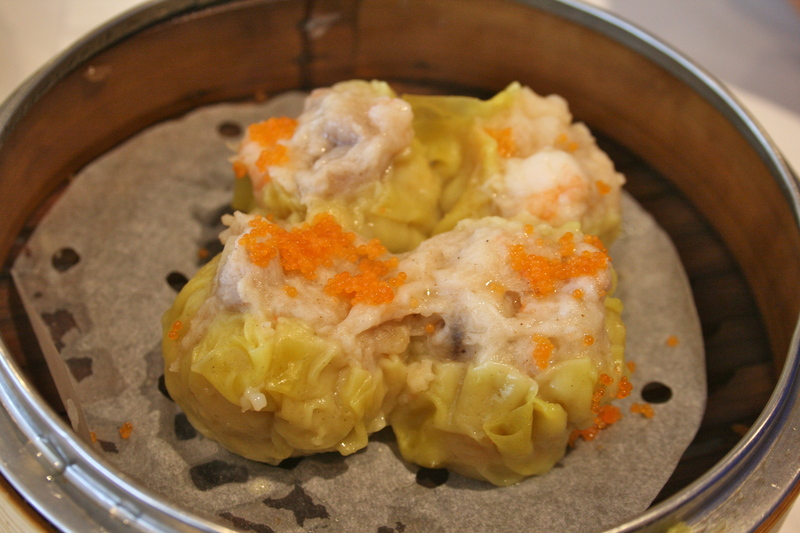 For breakfast, we went for dim sum (so stereotypically Chinese of us!) at Top Gun located at #2020 Excel Centre, 8766 McKim Way in Richmond. 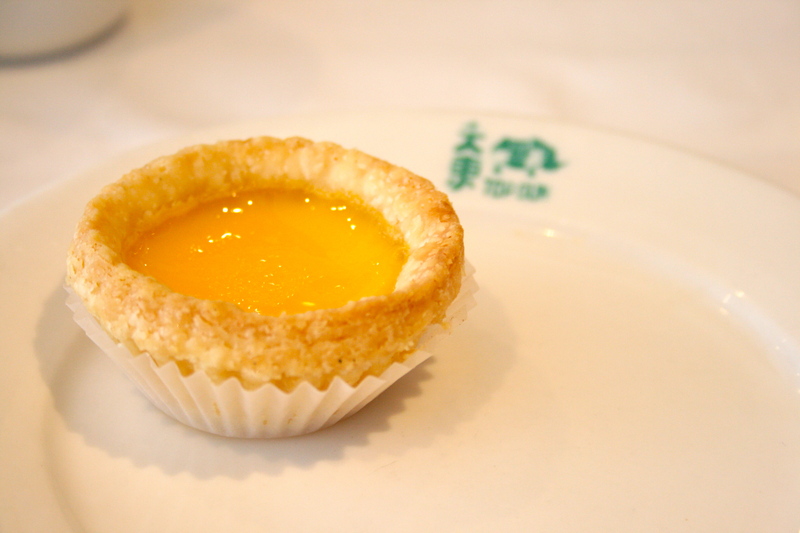 It’s a bit pricier here than at other places but has the best dim sum in our humble opinion. 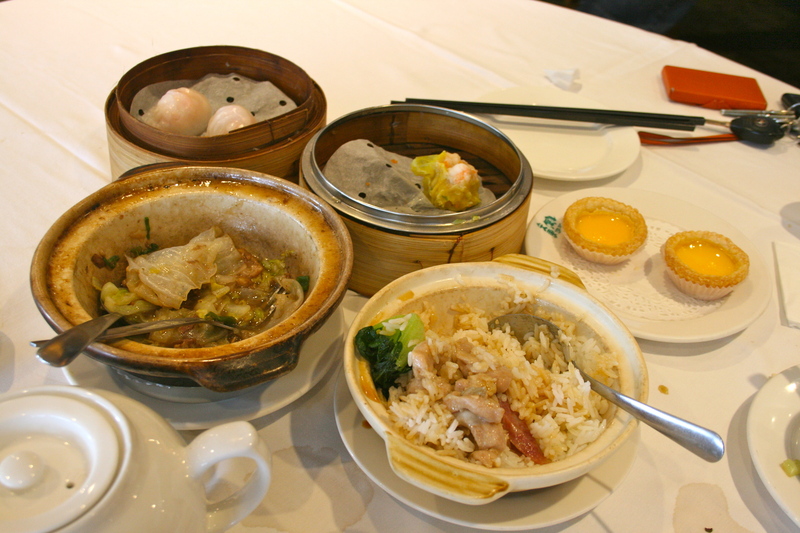 We ordered five dishes, ambitious of us since we eat like birds nowadays. Of course, they always bring out the dessert first! 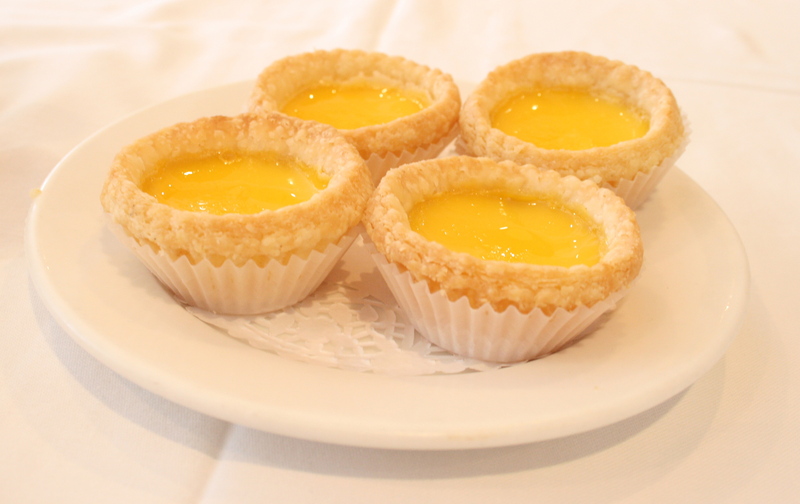 Egg tarts – my favourite! 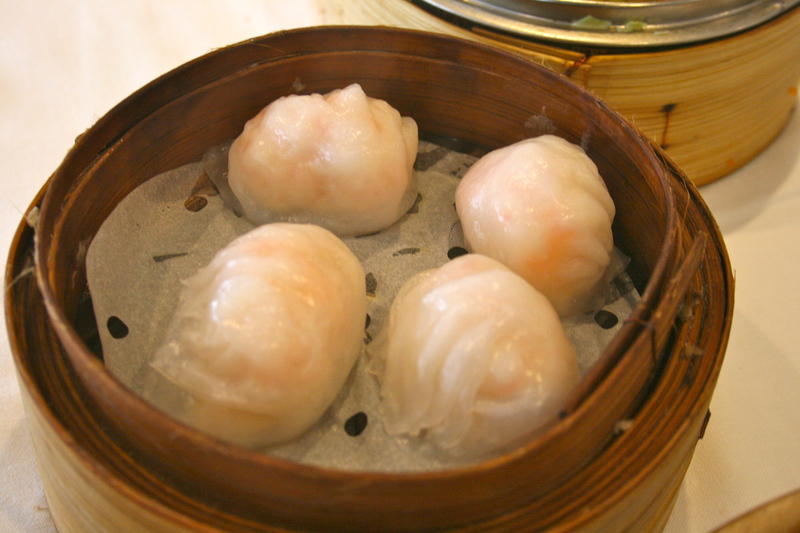 We ordered the usual dishes, like steamed shrimp dumplings (har gow) and pork dumplings (shiu mai). 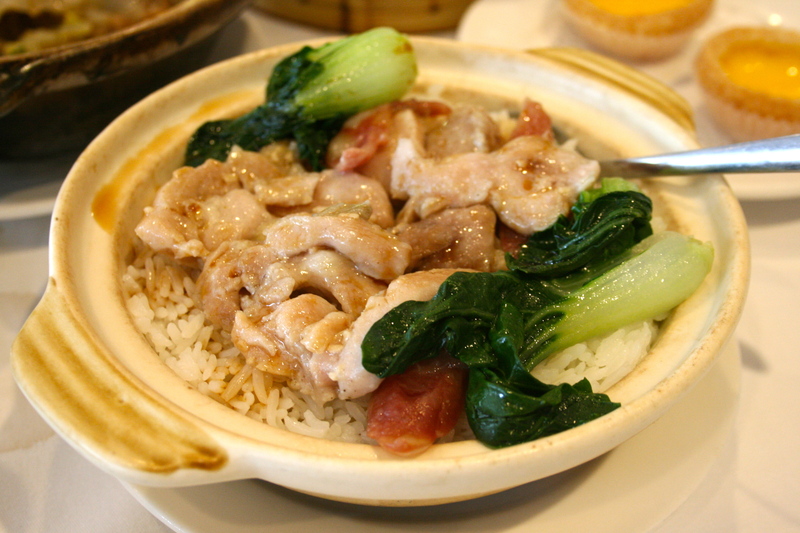 Their steamed chicken on rice was really really delicious. 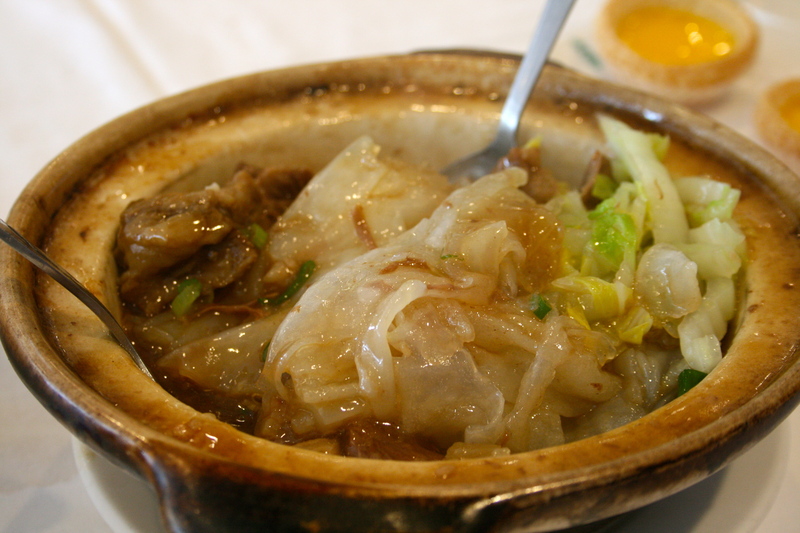 We were stuffed by the time this dish came out so we brought it home and had it for lunch later in the day. I wanted to eat more than this, trust me! Those crinkly white sheets? Yup, noodles. 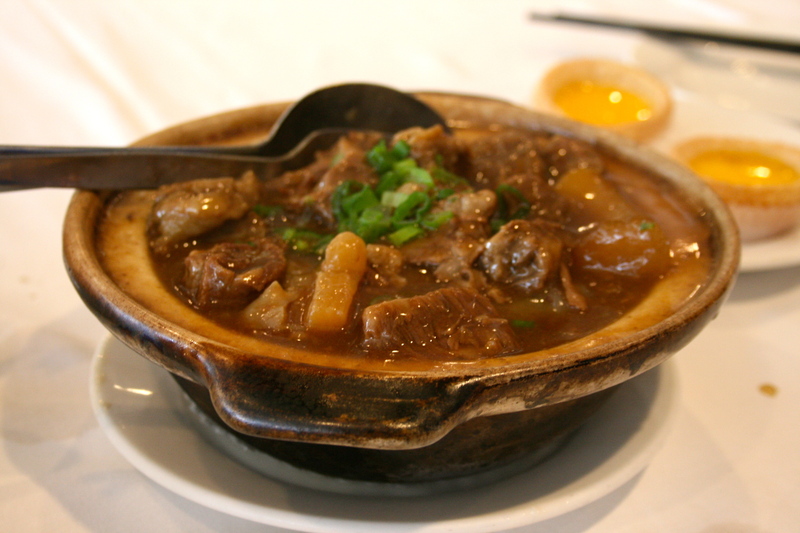 The beef brisket was melt in your mouth tender, in a delicious sauce that was sopped up by the noodles. So good – we polished this dish off. I wonder how much MSG we just consumed…? The sun actually came out in the afternoon, giving us no excuse to finally take out the bikes we bought last month. I never learned how to ride a bike as a kid. My parents were too paranoid to let us ride on the streets and way too cheap to buy us bikes. The Husband taught me three years ago on bikes we would rent by Stanley Park. 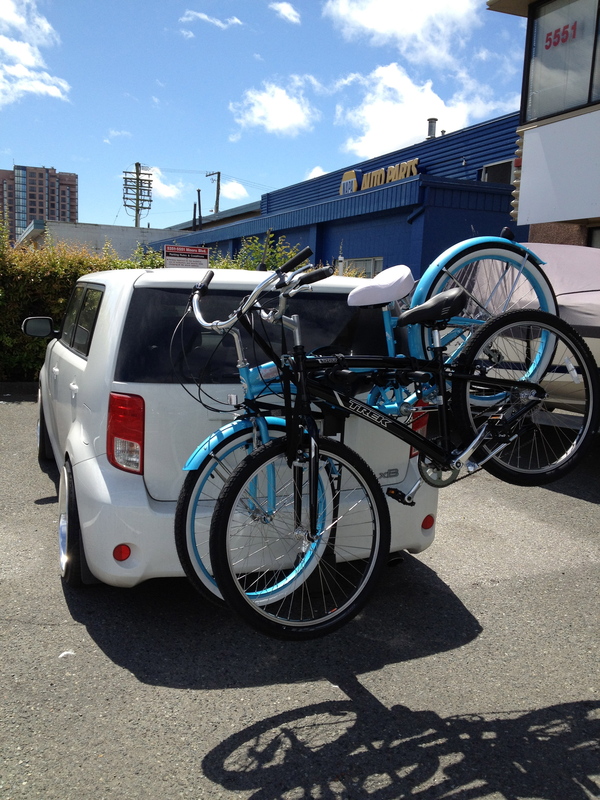 I’d wobble around empty parking lots until I finally got the hang of it (to any parents reading this blog – teach your children to ride a bike while they’re still young! Don’t let them turn out as feeble as I am!). I, being beyond-amateur, then foolishly decided to follow the Husband around the seawall where I promptly fell off my bike having been frightened by the speed of other riders, scraping several layers of flesh off my left hand. Fast forward three years, I haven’t been on a bike since! That changed today. We live right next to a park that has long straight sidewalks with no one walking on them. I put on my helmet, climbed on my bike, wobbled like crazy for several minutes but was able to start moving! Sure, I was terrified but I was doing it! I’m a long ways off from riding in public places with other people but hopefully I’ll get there. After all the abrupt braking and jumping off my bike in panic that I did, it was time for dinner! Since I had almost forgotten all about our anniversary and the Husband’s been super busy, we didn’t make reservations for a restaurant until yesterday afternoon. We decided to go for French food since it’s something we never cook at home. We chose a restaurant we’ve never been to, Bistro Pastis at 2153 West 4th Avenue. Damn we had an amazing experience. The service was top notch – so attentive, very personal (the owner walked around the room, speaking to every table, joking around). And the food – the food! 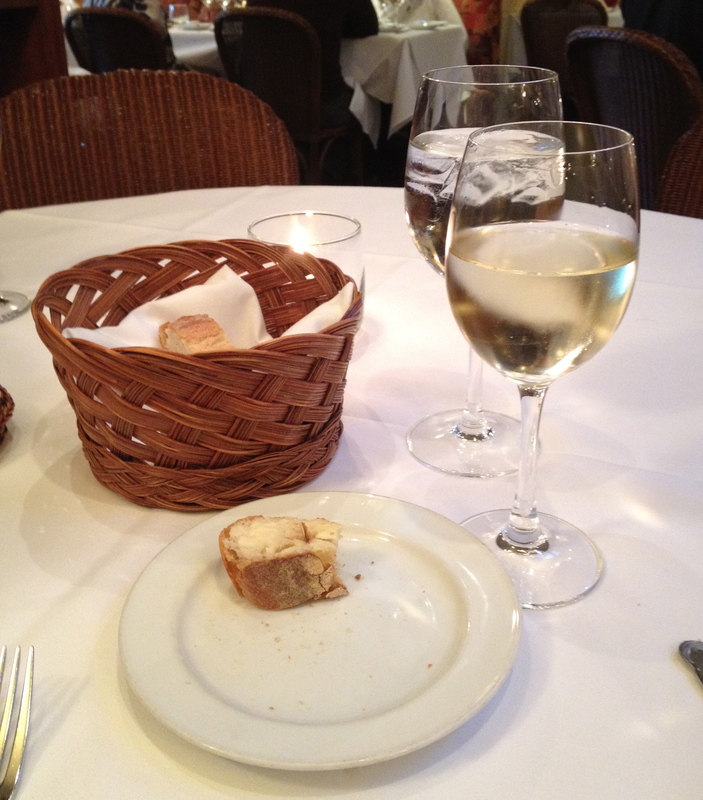 Bread, butter, and Gray Monk gewurtztraminer. 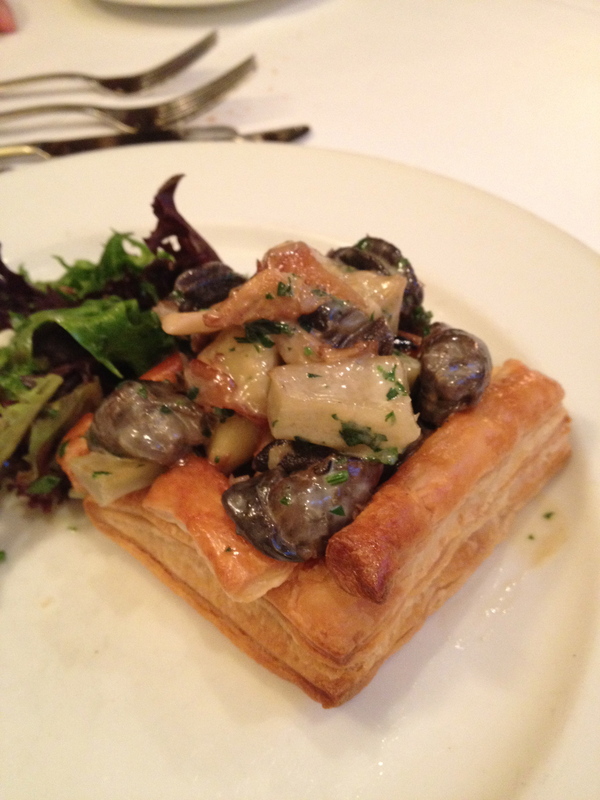 For our appetizer, we had sautéed escargot with artichokes, oyster mushrooms, roasted garlic in a puff pastry. The Husband loves escargot – I eat it and try not to remember that it’s snail. Their version was really good – the cream sauce was nice and light. 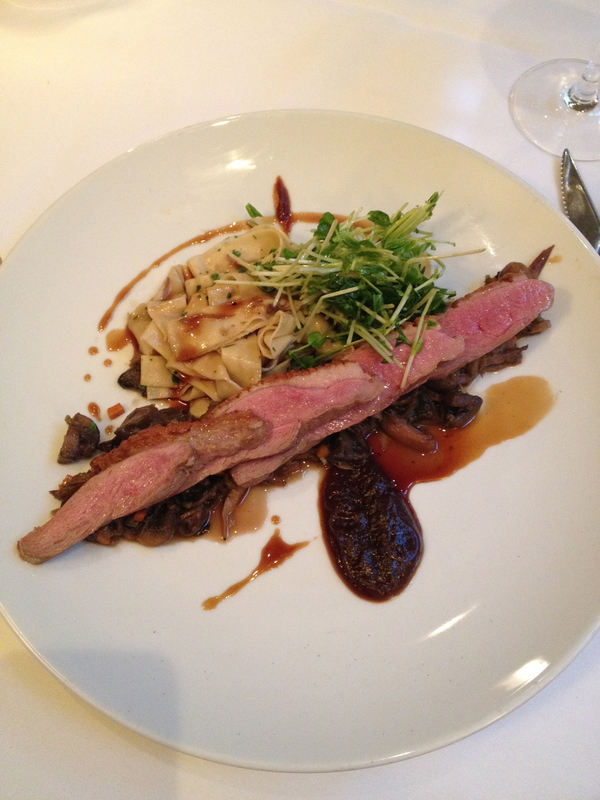 For my entree I had had duck breast on top of a ginormous portion of duck confit and mushroom ragout, fresh parpadelle and pea shoots. The amount of food they gave was crazy and every bite was perfection. The duck breast was cooked perfectly. 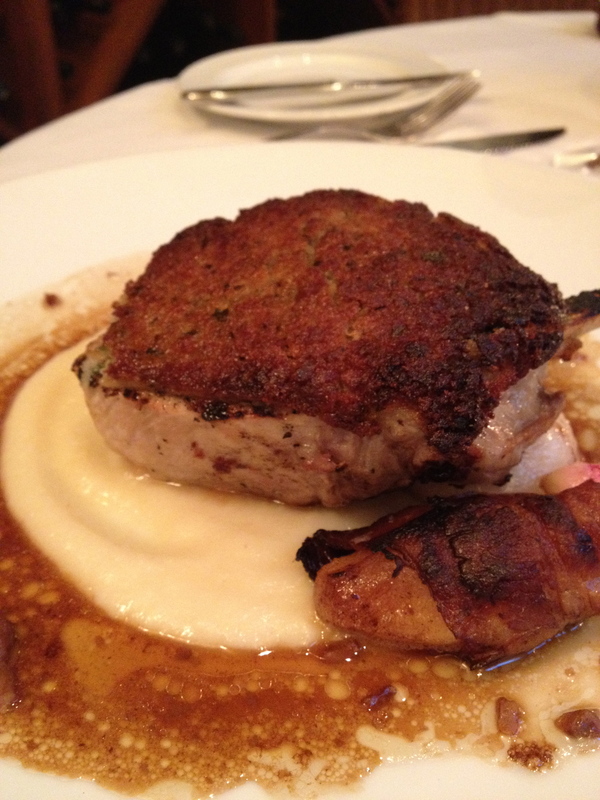 The Husband had the Roquefort crusted pork chop, on top of celeriac Purée with bacon wrapped apples. The pork chop was huge and juicy but I wasn’t really digging the crust (it’s not the pork chop’s fault. I don’t like a lot of cheeses – blasphemy in a French restaurant, I know). We were too full to order dessert, which pained me because I love sweets and all the options sounded amazing. The restaurant, knowing that we were celebrating our 11-year anniversary, brought out a free dessert. SUCH a lovely gesture! It was ice cream on a bed of sliced candied almonds. I’m ashamed to say I’m not sure what kind of ice cream (I didn’t ask – gimme something free and I ain’t asking questions) but it was super yummy. haha love the card you chose! happy anniversary! I can’t believe it’s been 11 years! Time sure has flown by. You and T are one of my favorite couples. Cheers to many more years of delicious meals and biking adventures! That’s so sweet of the restaurant!! Aw.. sounds like a perfect day with perfect food! Happy Anni guys! Happy Anniversary! And you celebrated the BEST way…with yummy food! 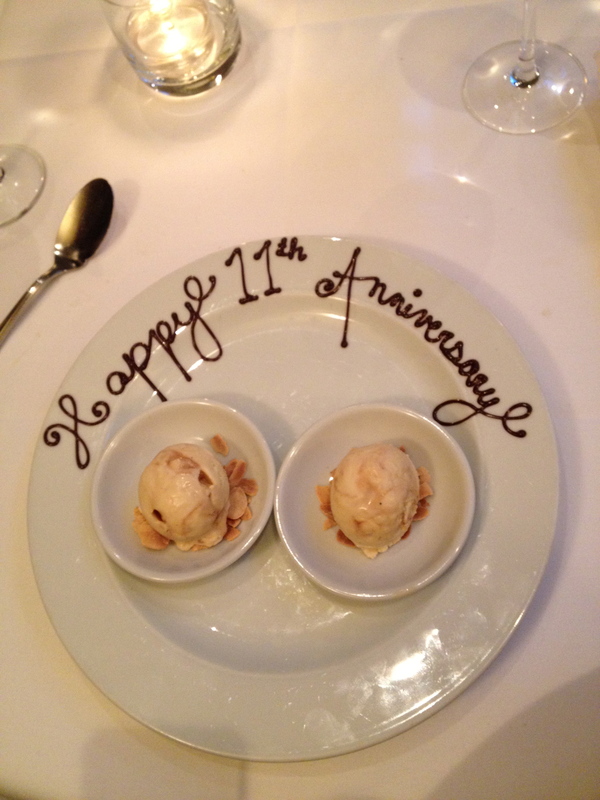 June 11 was mine and hubby’s 7th wedding anniversary and 17.5 years together…Craziness. Here’s to many more happy years with our men.